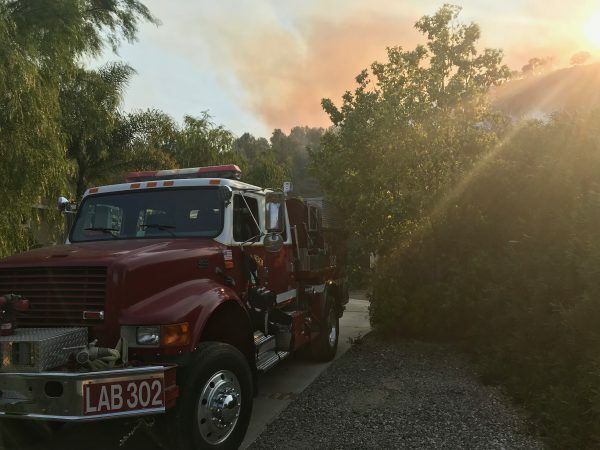 The Laguna Beach Fire Department has sent 11 firefighters, three fire engines and a battalion chief to help fight the Canyon Fire 2, a 7,500-acre wildfire that started Monday in the Gypsum Canyon Road area near Anaheim Hills that so far has destroyed 24 homes and forced the evacuation of thousands. Interim Laguna Beach Fire Chief Kirk Summers said the crews have been on the scene all night, and will be there to aid firefighters all day today, possibly returning tomorrow. They join the nearly 1,100 firefighters on the ground fighting what is now the largest fire in Orange County in the last decade. Local firefighters were dispatched Monday to battle the Canyon 2 blaze in Anaheim Hills. 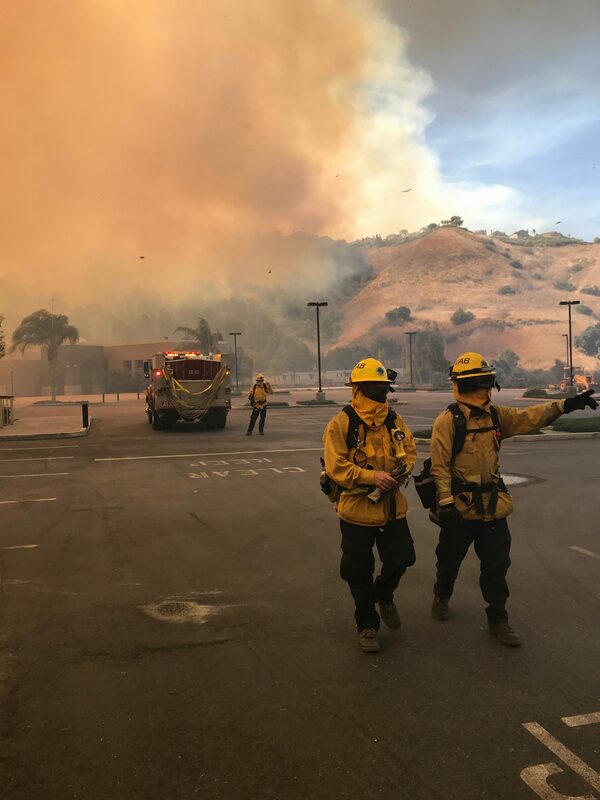 Evacuations in the Anaheim Hills and Orange areas remain in effect, as do multiple freeway closures in the area where the 241 and 91 freeways intersect in Anaheim Hills. The Orange County Fire Authority estimates 3,000-4,000 residents have been impacted with 5,000 structures still currently threatened. They list one firefighter as being injured so far, but do not provide further details. Evacuated residents are not yet being allowed to return to their homes. Monday the Santa Ana winds and dry conditions helped fuel the fire, which quickly grew to 7,500 acres by nightfall. Fire crews are hoping calmer winds today will help them contain the blaze. As of last night, the fire was only contained to 5 percent. Laguna Beach crews also took part in putting out the first Canyon Fire, which ignited in late September south of the 91 Freeway in the foothills between Corona and Anaheim.